Queen Elizabeth II was not born to be queen. She came into the world on April 21, 1926, the equivalent of the modern Princess Beatrice, first-born daughter of the Duke of York, destined to flutter on the royal fringe. So while Lilibet was brought up with almost religious respect for the crown, there seemed no chance of her inheriting it. Her head was never turned by the personal prospect of grandeur--which is why she would prove so very good at her job. Elizabeth II s lack of ego was to prove the paradoxical secret of her greatness. For more than thirty years, acclaimed author and royal biographer Robert Lacey has been gathering material from members of the Queen s inner circle--her friends, relatives, private secretaries, and prime ministers. 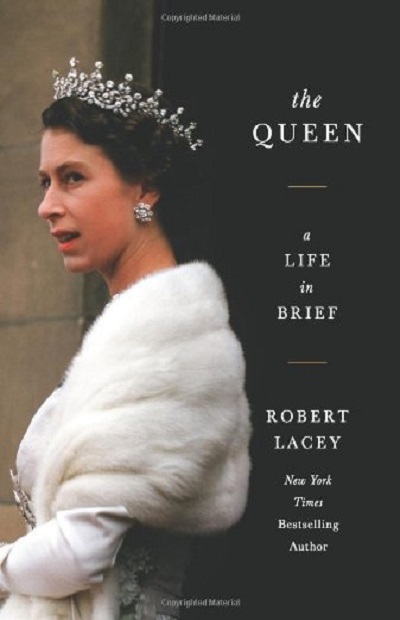 Now, in The Queen, Lacey offers a life of the celebrated monarch, told in six succinct chapters, accentuated by elegant color and black-and-white photographs that capture the distinctive flavor of passing eras and reveal how Elizabeth II adapted--or, on occasions, regally declined to adapt--to changing times.